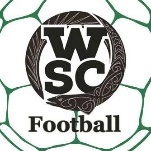 If you are interested in playing football for WSC this year and have not yet registered your intent to play could you please use the following link and complete the online registration form. To also keep up to date with trial and general WSC Football information ‘Follow’ the WSC Football FB page. We have started trials and these will continue for the next few weeks, and will start training once trials are completed. These trainings will be one to two times a week straight after school, probably Tuesday and Thursday for the duration of term one. The first competition game of the season will be the first week of Term 2 (early May). Junior boys will be playing on Saturday mornings, with a 9:00am kick-off time, and girls on Wednesday afternoons with a 4:00pm kick off. Once competition starts we will move to morning trainings at Seddon Fields’ artificial turf once a week, usually at 7:00 am. The school will supply you with your playing strip (shirt and shorts) for the season. There is a one-off football registration fee to help cover the costs of playing strips, socks, competition fees, equipment, etc and this fee will be set early in the New Year (2018 fee in the order of $100). In addition we do ask some of our teams to purchase a training strip which is yours to keep and doubles as an away kit – you will receive more information on this later in Term 1. The school football environment is set up for players who want to develop their game to the next level and represent their school at the highest level possible. However, this doesn’t mean that we do not accommodate social sides too. We welcome these, but they are dependent on numbers and parent volunteers. If you have any questions, please do not hesitate to contact myself.